Vintage Cannes-1968 Edition: Polanski and "Rosemary's Baby"
Before the whole festival imploded under the pressure of a growing number of filmmakers and artists, several films were screened to mixed reactions. Roman Polanski's Rosemary's Baby received mostly glowing reviews, around the theme of "he's back to the vein of Repulsion". 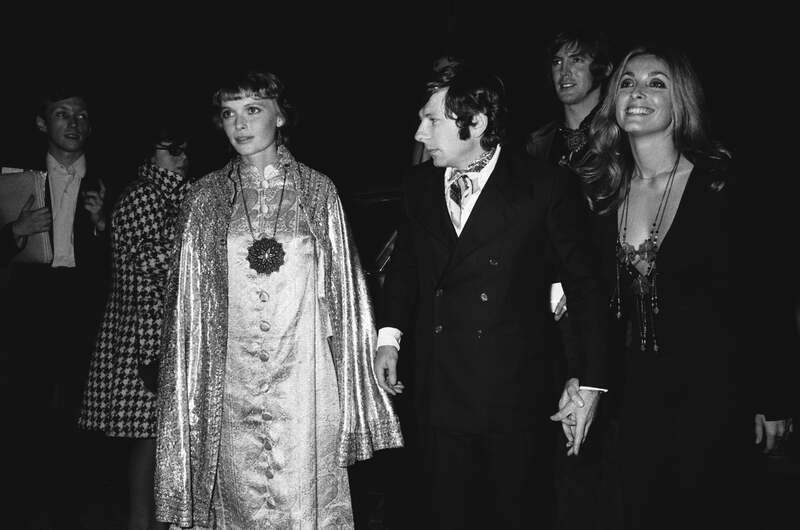 Polanski - a member of the jury who showed the film at a special screening - walked into the Palais with Rosemary's Baby star Mia Farrow and his wife, actress Sharon Tane, whom he had met on the set of his previous film, The Fearless Vampire Killers, and wed in January of 1968. "An exploration of how evil enters the world", according to Polanski, Rosemary's Baby would receive four Golden Globe nominations, winning one - Ruth Gordon for Best Supporting Actress. 15 months after Cannes Sharon Tate would be dead, murdered by the fanatics from Charles Manson's apocalyptic cult. Cannes Style: Making a Statement with Clothes. And Shoes.